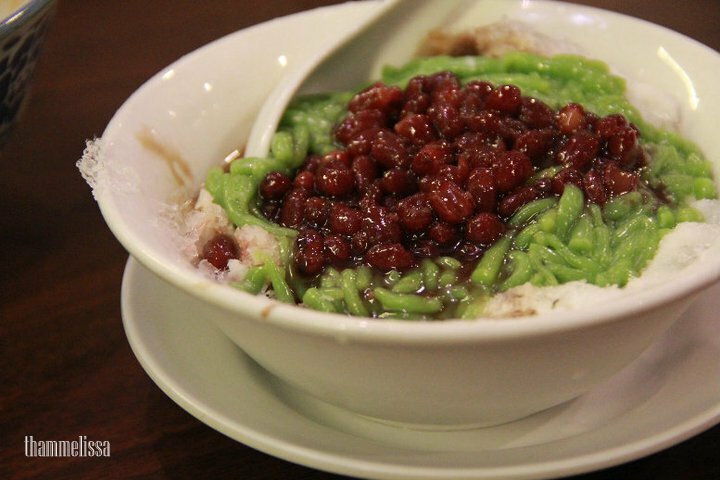 Wanting to have some Penang food even though you are not in Penang? 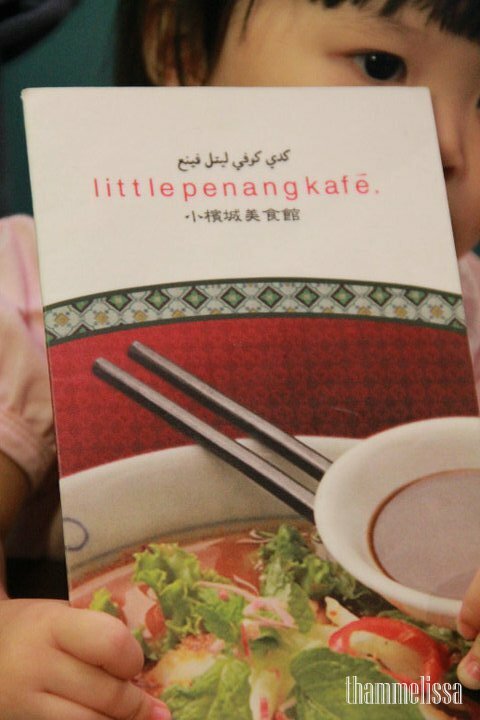 Little Penang Cafe would be a good choice. It has outlets over major shopping complexes in KL. The business is quite good. Often sees a lot of patrons dining there. For sure you can’t compare the price with hawker stalls. 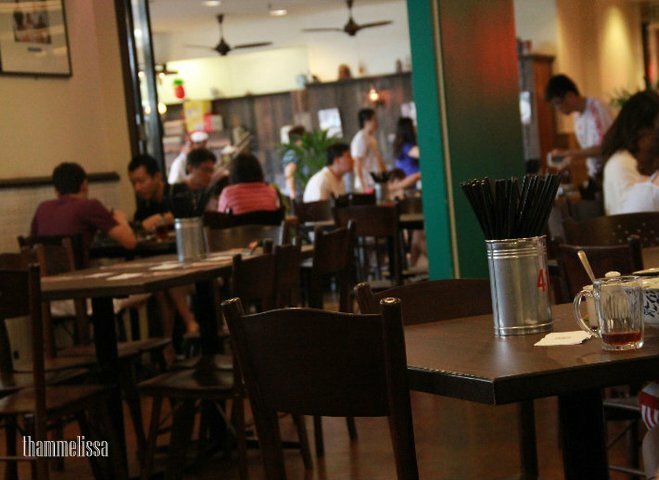 Here, you gotto pay a lil bit extra, but you can dine in a cosy environment. 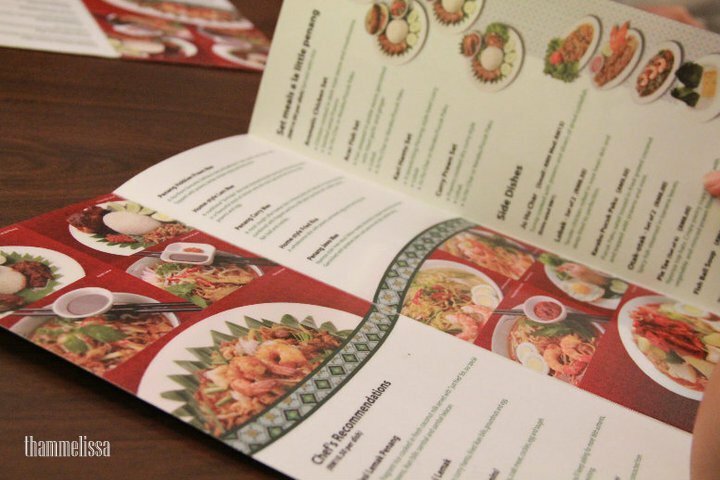 A cardboard size menu that fits everything in. Complete with details as well. 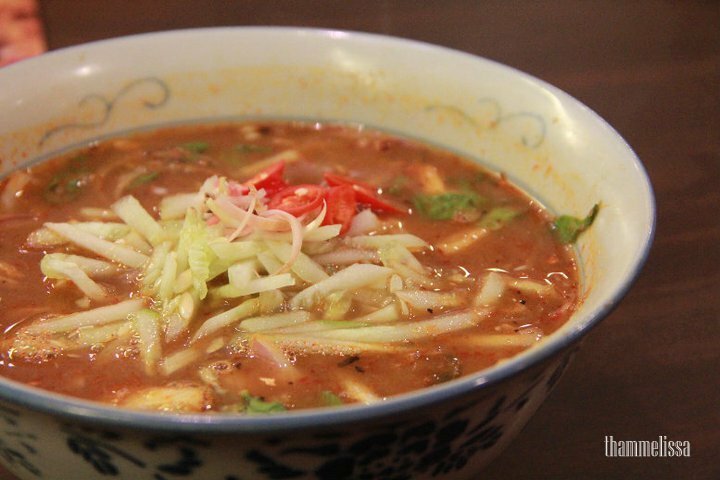 Assam Laksa (RM10.50) – A mouth watering rice noodle dish in authentic spicy fish gravy, mint & fresh vegetables as garnishing. 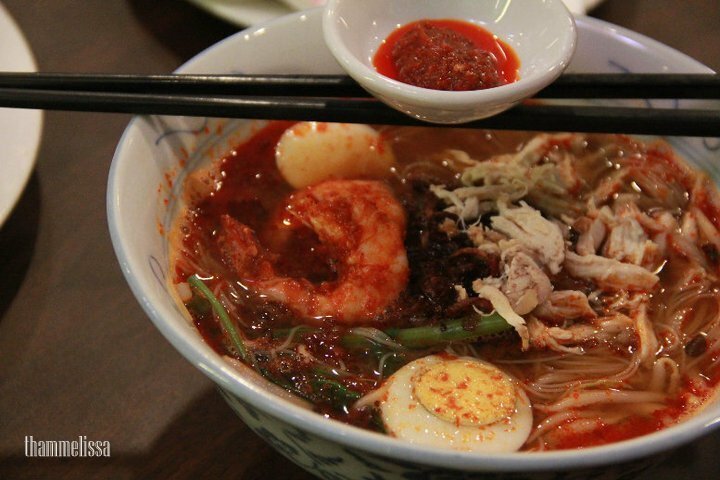 Penang Hokkien Prawn Mee (RM10.50) – Delicious mee & beehoon in spicy prawn and chicken stock. Topped with prawns, tender chicken strips and fried shallots. 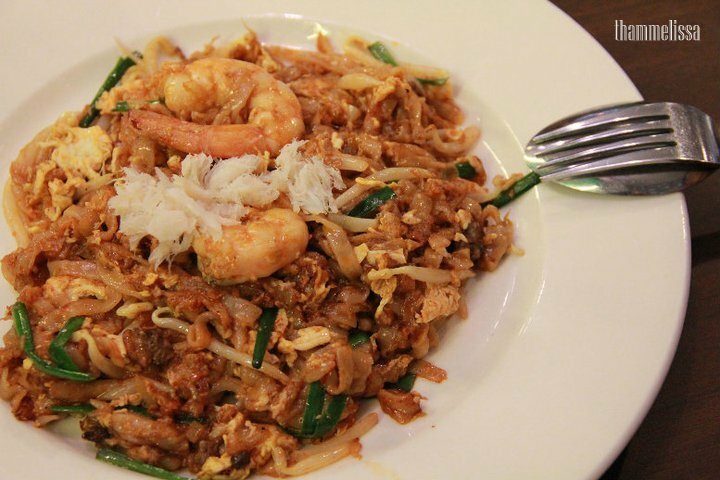 Char Koay Teow (RM10.50) – Hot from the kuali(wok) with prawns, crab meat, cockles, egg & taugeh(bean sprout). <—- MUST TRY! 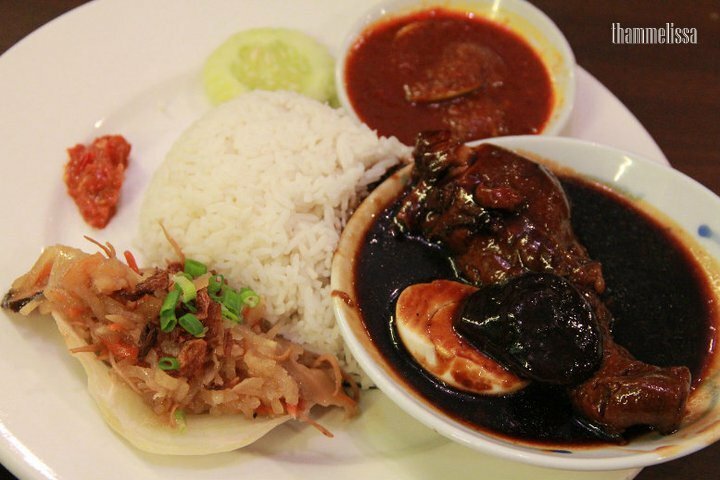 Aromatic Chicken Set (RM14.00) – Chicken cooked in dark soya sauce and mushrooms, sambal petai prawns, ju hu char. 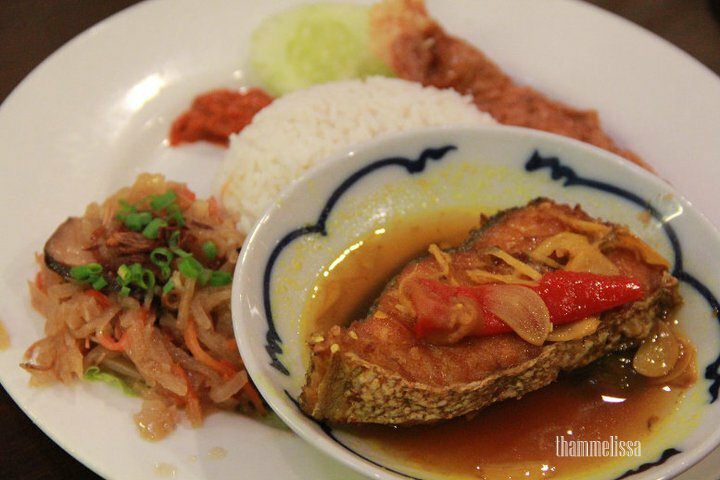 Acar Fish Set (RM14.00) – Fish steeped in pickle sauce, garnished with fried garlic and ginger, Lobak and Ju Hu Char. It taste good. Because it has nice gula melaka taste. However mom claimed it to be alil too sweet for her. Maybe i’ll go try Mid Valley one.